Mugwort has been known for ages as a reliable dream enhancing plant. I have also had good results with this mild herb that is a close relative of wormwood and has a long history of medicinal use. In the West, mugwort was historically associated with the Greek goddess Artemis and the moon, perhaps because it stimulates blood circulation and was used chiefly to aid painful and irregular menstruation. Of course, Artemis is one of the Greek Gods who was known to send divine dreams. In other words, mugwort, dreams and the Moon are all bundled together in an aromatic and cosmic smudge stick. I recommend picking fresh mugwort consciously and ritualistically and placing it close to the bed, or even under your pillow before bed. Also try burning some mugwort as incense (and even smoking it – very pleasant), which can make bedtime into a ritual that will support more dream remembrance. Here is my recommended source for mugwort, grown organically and sustainably harvested. If you’re up for it, would you share some details about the results you’ve experienced with mugwort and how the dreams experienced on those nights compared to your usual dreams? I tend to avoid using supplements, herbs, pharmaceutical drugs, or natural psychotropics for dreaming (just a personal choice) but I’m still interested in learning about their effects on dreams, and I’m particularly interested in the herbs that can be traced back to their use in ancient Greece and Rome. KRIS; 2008 you left a comment. OK its 2014, AND For those who found themselves here, I use mugwort as part of an herbal formula. Fresh ground dried herbs in capsules. Mugwort is very effective for dreaming, I believe it helps with REM sleep. It can also cause nightmares too! Peppermint is said to prevent nightmares, so I add a little peppermint to my formula. I recommend everyone should try Mugwort, if you don’t remember your dreams you are missing out. Hi Kris! I used mugwort during my last lucid dream incubations. I generally kept the fresh-picked herb on my nightstand for a three month period during which I ritualistically prepared myself for lucid dreaming. Also, the nights that I smoked mugwort turned out to have a higher occurance of lucid dreaming, but I don’t have any statistical evidence for this. Because mugwort is so mild, its effect may be psychosomatic, ie the power of suggestion. 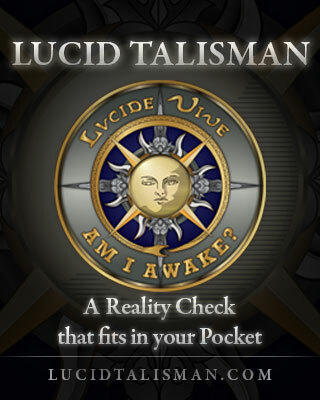 For my purposes, that’s fine because my aim was to have more lucid dreams, period! In my view, any ritual practice is a good way to increase dream recall and lucidity because ritual is an ancient way of channeling intentionality. Our soma gets it; it’s neurotheology in action. Not the placebo effect, the intentionality effect. I haven’t tried it as a tea, sounds bitter! (on a related note: Calea zacatechichi is the most bitter tea I’ve ever made, I’ve not acquired the taste for it yet). I have brewed several beers with mugwort (using fresh mugwort leaves and flowers instead of hops) and it made a delicious brew. Great as a stout. Any dream effects? Not that I could discern, but remember alcohol can have a dampening effect on dreaming. That is a good idea. I am interested in brewing some mead. A mugwort mead sounds good. I am working on some dandelion champagne right now. Hey thanks for this little bit on mugwort! It’s been on my to-do list of herbs to research and possibly try out. all this is just weird…dandelion champagne?? Dear xxxxxxxx111, don’t knock it if you haven’t tried it. Natural sodas are some of the most nutritious drinks around – they’re the reason we crave carbonated drinks like cola even though today’s sodas have no value whatsoever. I also recommend manzanita tea – mix it with a little mineral water for a refreshing cooler. But mugwort ale is really where it’s at – minty, clean and downright magical. Just replace your hops with mugwort – they serve the same antibacterial function. dryhopping your mugwort adds another level of zing. Dried mugwort herb can be obtained from any herb shop. And I can assure you, the effects of this herb on dreaming are NOT psychosomatic (just smelling the herbs while sleeping here). In fact I don’t recommend placing it under your pillow because the effects can be so strong that it can disturb your sleep. It’s best to put them a foot or two away from your head when you sleep; adjust as desired after doing this for a week or so. It may in fact be the subtle way that mugwort disturbs your sleep that produces the heightened dream experiences — so finding the right distance/potency is part of the process. My experience is that it takes about 2 weeks of sleeping near mugwort for the full effects of the mugwort to be witnessed in your dreams (though you’ll probably notice after just a day or two, the effect is cumulative). – Much easier to remember dreams. – More conscious awareness during dreaming (trending towards lucid dreams). – Much more “super-fine detail” in dreams – for instance, I sometimes find an ability in my mugwort-influenced dreams to “zoom in” on a particular visual detail to a great level of detail, or I’ll be able see the fine workings of some organism or machine in exquisite detail. A good analogy is viewing a mechanical watch’s gears from a couple feet away versus having a close-up view of those gears that encompasses your whole visual range. – A pronounced increase in bizarre dream events/content. Thanks Joel for your analysis! I’m using Mugwort right now and I found that the first night I tried it I had a lucid dream…I had it [the mugwort] in a plastic bag about four feet away from me. intriguing – I’m interested to know what happens when you let the mugwort out of the bag! I’ve been able to remember my dreams more easily, and I continue to sleep with a small pillow of mugwort beside my bed. no more tea though, it was keeping me up late. Im wondering if mugwort works just as well in a tea rather then putting on my nightstand. If so how much should i use. Im kinda new into lucid dreaming ive only had a few real lucid dreams in my life but i really enjoy having them and i would like to have them more often. Rich, some people report results with mugwort tea – I’ve never tried it myself. I was given a gift for the holidays tho: a mugwort tonic. It’s delicious, and I’ve been taking a teaspoon everynight before bed. Dreams are more rememorable, that’s for sure. Still hard to tell – is it my intention to remember more dreams, or is it the mugwort’s effects, or both? Yeah I’ve always been very interested in dreams. I’ve been reading about dimethytryptamine (DMT) the past couple months and it really changes how I look at my dreams now. I recommend you all atleast search for it and get an idea of what it is. Sorry I had nothing to contribute on the mugwort topic. I smoked calea z last night and had three dreams. The second one was a lucid dream. The third was very detailed. cool to hear about the calea Z success! lucid and vivid. that stuff is so bitter – can’t recommend it as a tea. DMT has recently been correlated with lucid dreaming — at least DMT in ayahuasca — as they both cause brain synchronization effects on the 40 hz bandwidth. I’ve decided to give mugwart a try so I just ordered some. In the meantime,the last couple of evenings I’ve made a cup of celestial seasonings tea(green and white decaf) and added nutmeg. Both nights I experienced vivid dreams and I remembered much of them. I realize now I had a lucid dream the first night. I was trying to get away from someone and I realized since I was dreaming I could simply fly away. With that thought I actually began to fly and I could control how high etc. Then I kind of forgot I was dreaming and got all involved in the rest of the dream. The tea taste very good if you sweeten it a bit-I use stevia myself. Some herbs are good for drinking as a tea, some are good for smoking. Mugwort is NOT good for drinking, it has such an intense taste that a dried leaf or two is so intense it’s undrinkable. Smoked however, it’s very similar to menthol. I smoke it mixed with tobacco throughout the day and it has an accumulative effect on my dreaming. If you don’t smoke, I’d suggest using it as incense. It just isn’t good as a tea, and it’s so lovely when burned that it seems to me to have an innate use that way. My dreams are clearer, I can see (visually) more, the colors are more intense, peoples faces are MUCH clearer. I can hear people’s words more clearly and I remember it all when I wake up. My dreams also don’t slip from my head at all. I can remember them like I do any other waking memory. I don’t really have to write things down anymore. I have tried mugwort, it does help induce more dreaming and more dream recall. Making tea is ok not anything like Calea. It seems though that there must be different strains of the plant. One is more oily than the other. The more oily one is also a little lighter in color. The other is darker and more bitter, but not bad bitter like calea. I have bought it from different sources over the past few months. The oily one doesn’t seem to do much of anything. I got some from a friend when I first tried it, nothing happened. I bought some online to try from a different source, still nothing happened. I noticed they were mild tasting when brewed as tea, and read a post somewhere saying the oily one doesn’t do anything. So I tried from yet another source, it was darker and made for a stronger tea, about three times as strong as the prior two. This one worked, I had more dreams and could also recall them . I have just bought some more, trying some tonight. It happens to be the milder one, I will give it another try and post results later. hey Edgar, I wonder how your lucid dreaming has been recently, 10 months later? i tried drinking the mugwort tea but never would again. it kept me up for ages plus i started sweating loads and my heart started racing like mad! not nice 🙁 oh and it did nothing for my dream state. tonight i will be making a dream pillow with dried mugwort, st johns wort and wormwood (all dream inducing herbs but not to be ingested!) and see how that goes…..
thanks for sharing your mugwort report, Sarah. Yikes! Yeah, maybe starting with mugwort as potpourri or incense is the way to go! Not all plants affect people the same. Mugwort is full of the chemicals that made absinthe famous (but in smaller concentration), so it’s good to respect this and all herbs you experiment with. Last night, I burned some mugwort before bed and had a night full of dreams. I am now very intrigued. I was wondering if the effect of burning this herb wears off after a while? Does your body build some kind of tolerance? I’m reading in the comments here about the cumulative effects of burning the herb. Please share some thoughts about nightly long-term use of mugwort. Thanks! I came across a massive growth of this stuff in my woods, and mistook it for wormwood. Only when trying to identify it as wormwood did I realize what I had stumbled upon. The dream herb! The first night (two days ago) I made a tea with the fresh leaves and had one of the most vivid dreams I’ve had in a while, and can still remember most of it. The second night, not so much. I think the use of stimulants that day is the reason. it’s the season for mugwort! I just picked some today actually, as it’s flowering where I live. the way you dried it sounds fine. I usually treat it like sage — bundle it with string and hang it — indirect sunlight. the effects of mugwort are very very subtle, the active ingredients are thujones like wormwood but at a hundredth of the potency. it’s more like an energetic presence than a psychotropic. do tell how smoking it goes! I have been having some very vivid and sometimes disturbing dreams recently and I was wondering if mugwort would be good because it would allow me to be more lucid, or bad because I am already fairly aware and I’m not sure the extra level of detail will be too much. I have never tried mugwort but me and my dad may, I read through all of the different reactions and side effects in the comments made. Isn’t there some type of toxin in the mugwort that some should be aware of if so could anyone tell me more bout it and how to take it in without the fear of getting hurt? Mugwort is known as safe and mild. 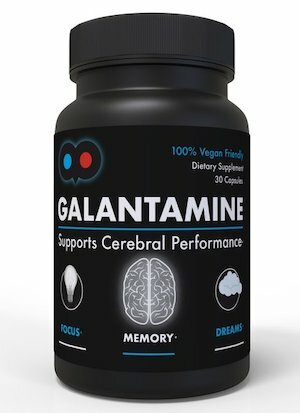 it does contain trace amounts thujones — the supposed active ingredients of absnithe — but at a fraction of a dose that could make any huge effects to consciousness. But some plants are allies, and some aren’t, so I recommend getting to known mugwort (and all herbs) slowly — first sleep with it next to you, like on your nightstand for a few nights, getting used to its odor — — then later perhaps try a tea. 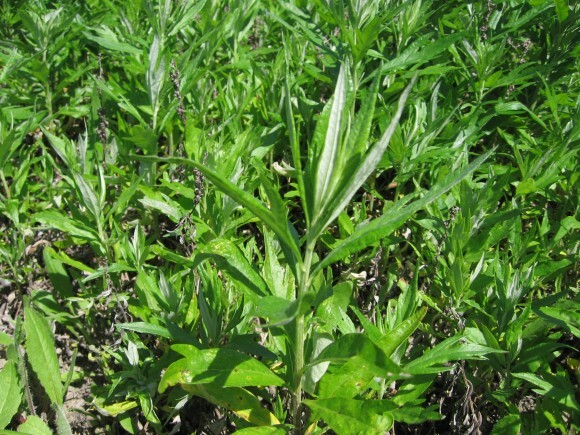 mugwort may be pharmacologically mild but it has a big presence. Is there a way i could Tincture it in any kind of substance? If it has a bitter taste would adding honey or sugar take away from the effects? How exactly would I brew it? I am studying up on these herbs and gathering information from different people who have experimented with it and can give me opinions. I’m open for all. Is there a way i could Tincture it in any kind of substance? If it has a bitter taste would adding honey or sugar take away from the effects? How exactly would I brew it? I am studying up on these herbs and gathering information from different people who have experimented with it and can give me opinions. I’m open for all suggestions and help and info. My father is a Cherokee an he found a meteorite and took it to a pow wow he had a Mohawk Indian told him to drink some mugwort tea and then sleep with the meteorite under his pillow and the ancient Cherokee star people will show him a dream, because thy allowed him to find the meteorite. Now my father wants to try this because there is a dream they want him to have according to the Indian.